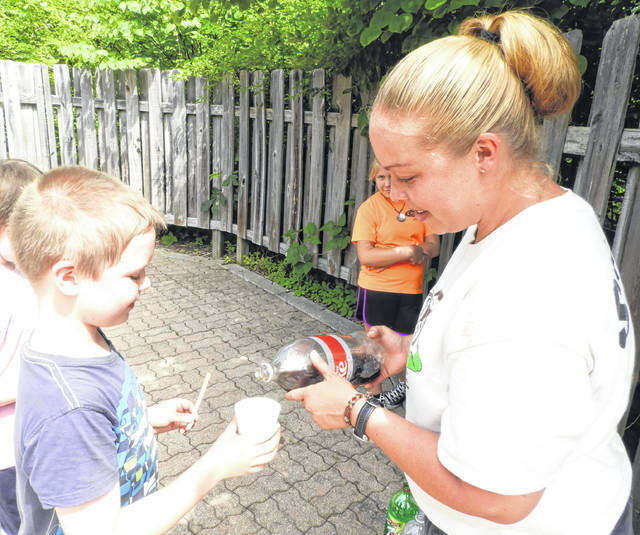 GCP&T Naturalist Ashlee Schmitt pours soda as part of the edible potion creating process at Minecraft Camp. One camper creates an explosion potion while combining ingredients. Submitted photo Young campers recently explored the world of Minecraft using natural resources at Greene County Parks & Trails’ (GCP&T) Minecraft Camp at the Narrows Reserve. Pictured, participants create edible and non-edible potions to use in their adventures. Young campers recently explored the world of Minecraft using natural resources at Greene County Parks & Trails’ (GCP&T) Minecraft Camp at the Narrows Reserve. Pictured, participants create edible and non-edible potions to use in their adventures. 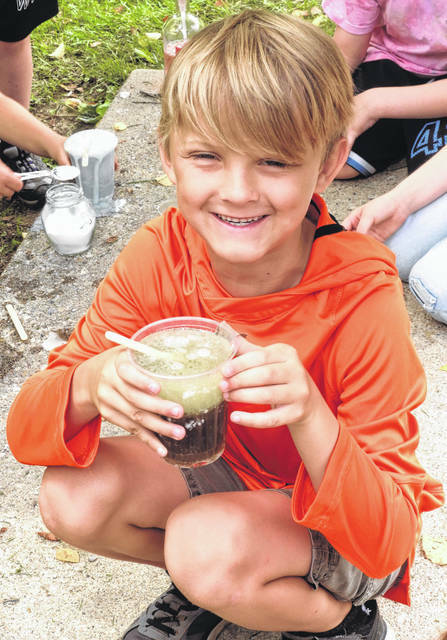 https://www.xeniagazette.com/wp-content/uploads/sites/32/2018/06/web1_Pouring.jpgGCP&T Naturalist Ashlee Schmitt pours soda as part of the edible potion creating process at Minecraft Camp. https://www.xeniagazette.com/wp-content/uploads/sites/32/2018/06/web1_Potion.jpgOne camper creates an explosion potion while combining ingredients. 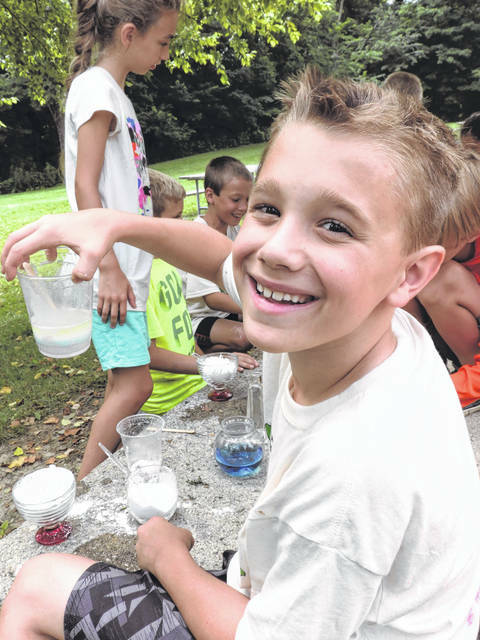 https://www.xeniagazette.com/wp-content/uploads/sites/32/2018/06/web1_Camper1.jpgSubmitted photo Young campers recently explored the world of Minecraft using natural resources at Greene County Parks & Trails’ (GCP&T) Minecraft Camp at the Narrows Reserve. Pictured, participants create edible and non-edible potions to use in their adventures.